The Netherlands have named their squads for their T20 series against MCC and MCC, as well as the two ODI's against Nepal. There are a number of new faces with HCC pair Tony Staal and Hidde Overdijk called up, as well as South African 21 year-old Clayton Floyd. The left-arm spinner and top order batsman is a Dutch passport holder, and was on the fringes of the New Zealand U19 World Cup squad before opting to move back to his native South Africa. The Oranje were handed a boost with the availability of Ryan ten Doeschate for the T20 matches at Lord's on Sunday. Michael Rippon is also back in the Dutch squad following his Otago commitments, while Stephan Myburgh returns after his recent ankle injury. 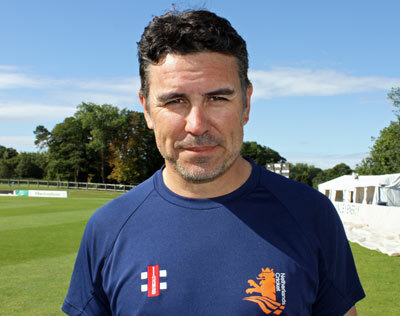 Coach Ryan Campbell is excited at the promise of three days of high quality cricket, and the chance to see his young additions perform at the most iconic setting in world cricket. "It promises to be a fantastic three days of cricket," said Campbell. "Firstly at the Home of Cricket and then back home where we return to ODI ranks and welcome Nepal for their first matches as an ODI country. "There are lots to be excited about with our squads as again we look to blood more youngsters. "Tony Staal and Hidde Overdijk are two youngsters who have lit up the local league. "They have both spent time at Gary Kirsten’s Academy in SA as we have always believed they are extremely talented. "It’s also great to welcome Michael Rippon back who will give our bowling an X factor. We also welcome Stef Myburgh back into the ODI team after an extended injury lay off. We will be looking for big things from him as I know how hard he has worked to get back into the team. "It promises to be a great series and hopefully the world will again see some of our youngsters putting their names up in lights on a big stage." Pieter Seelaar (VOC, capt. ), Scott Edwards (wk), Fred Klaassen (VOC), Max O’Dowd (VOC), Wesley Barresi (HBS), Tobias Visée (HBS), Bas de Leede (VCC), Clayton Floyd (VCC), Hidde Overdijk (HCC), Tony Staal (HCC), Michael Rippon (Otago, NZ), Shane Snater (R&W), Ryan Ten Doeschate (Essex), Paul van Meekeren (Somerset). Pieter Seelaar (VOC, capt), Scott Edwards (wk), Fred Klaassen (VOC), Max O’Dowd (VOC), Wesley Barresi (HBS), Stephan Myburgh (Punjab CCR), Bas de Leede (VCC), Ben Cooper (VRA), Dan ter Braak (VRA), Hidde Overdijk (HCC), Michael Rippon (Otago, NZ), Shane Snater (R&W), Paul van Meekeren (Somerset, UK). Coach: Ryan Campbell, Manager: Pamela Mulder, Physio: George Dunlop. Paras Khadka (capt. ), Gyanendra Malla, Sharad Vesawkar, Shakti Gauchan, Basant Regmi, Sompal Kami, Dipendra Singh Airee, Sandeep Lamichhane, KC Karan, Md. Arif Sheikh, Lalit Bhandari, Subash Khakurel, Anil Kumar Shah, Rohit Kumar Paudel, Lalit Narayan Rajbanshi. Staff: Jagat Tamatta (Coach), Raman Shiwakoti (manager), Dinesh Bhatta (physio).